As Mikael Patel wrote in a comment, it is generally inadvisable to Serial.print() from within an ISR. It is supposed to work, though, as long as you don't fill the Serial output buffer. The problem is that your code does fill the buffer, as it is writing to it faster than the UART can empty it. Once the buffer is full, the program will malfunction. Not the answer you're looking for? 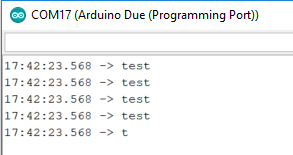 Browse other questions tagged arduino-due timers or ask your own question. 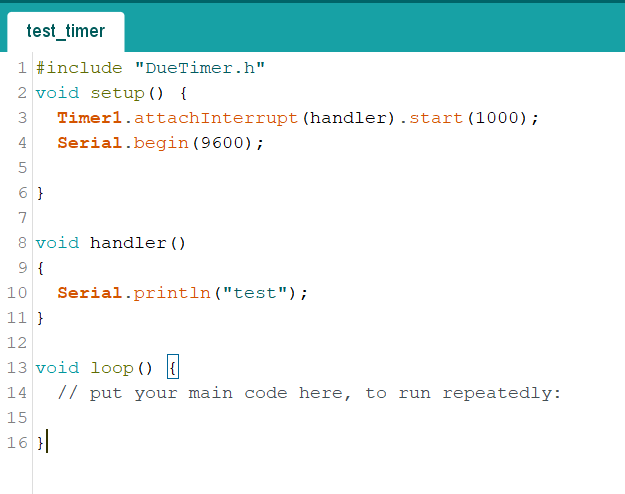 How can I set up a watchdog interrupt vector timer on the Arduino Redboard/Uno?